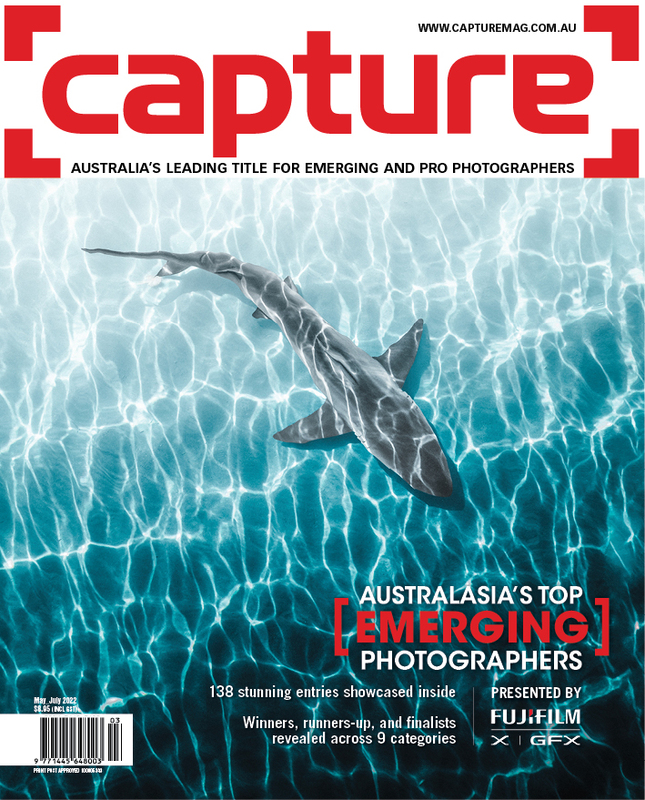 When we gain access to the photography kit of a seasoned professional, we don’t hesitate to dive right in and get as many insights as possible. Like a fisherman and his tackle box, a photographer’s kit can say a lot about their process and the outcome of their work. Gary Sheppard reveals to Clare Reid just exactly what’s inside his kit. Gary Sheppard’s photography is highly established and celebrated within the advertising industry. With over 25 years of experience, he’s won numerous local and international awards. His personal, editorial, and commissioned work shows the breadth of his creative vision and technical ability. Title image for the series, "Mephisto", 2017. © Gary Sheppard. Sheppard’s background in environmental science is evident in collections such as Curl and Where Pigs Fly with a focus on flora and fauna portraiture. Curl, in particular, is an almost scientific depiction of fallen leaves and their ability to manipulate themselves into impressive shapes. Sheppard describes how each leaf’s unique conditioning creates the new form – where it fell, how it fell, what it was exposed to – as the image illustrates a rigidity created from the once malleable greenery. While his background clearly plays a part in visual expressions, Sheppard describes his first career as being the key to learning the analysis of a situation, and working towards a solution. “Every shoot has issues that can arise at a moment’s notice, and that needs to be sorted quickly. Training in logical thought and problem solving helps in that regard,” he says. If it were up to Sheppard, he would spend more of his time shooting transport subjects. He says that the demand for this work in Australia is limited, but in an ideal world he would be working with planes, trains, and cars on a regular basis. “If I could shoot jet fighters and space shuttles for a living, I’d be pretty happy,” says Sheppard. Back to advertising photography and Sheppard gladly surrenders to the inflexibility of the industry. “When it comes to my professional shoots, I prefer having everything as planned as possible and eliminate as many variables as I can,” he says. “With advertising photography, I like the challenge of receiving a brief, understanding the message the agency and client are trying to convey, and visually interpreting that,” he says. While there is always an element of serendipity and experimentation on the day, Sheppard finds comfort in knowing that he has got the shot in the bag, so to speak, even before the first shutter click. “As with all photography, budgets are being stretched, time frames are shrinking, and clients are playing it ‘safe’, so that limits the amount of really exciting work out there, but taking any project from an initial sketch to final image is still very fulfilling. “Plus, seeing your work when you open a magazine or pass a billboard is always a buzz,” says Sheppard. Part of a campaign for animal rescue. Shot for M&C Saatchi, Sydney. © Gary Sheppard. Continuing with the initial metaphor, a photographer’s kit needs to be constructed just like a fisherman’s tackle box – with the catch in mind. Each discipline needs a unique kit, and Sheppard builds his kit based on the specific shot in mind. “[It] depends on the individual shot,” he says. “Does it need to be lit? Flash or continuous? Macro? Wide angle or tele? Still life or rapid movement? The list goes on. Apart from being a wise-guy and saying “a camera”, I don’t think there’s one piece of gear that stands out as being essential in every shot,” says Sheppard. When Sheppard was asked what he would include in his kit if he could have only one set-up for the rest of the year, the Pentax 645Z with 45-85mm f/4.5 lens came out on top, along with several Godox AD600 and AD360 heads for lighting. “Versatile, portable, reliable, lightweight. That’s the basis for a brilliant little setup,” Sheppard concludes. Sheppard says that the 50 megapixels was all the resolution he needed, and although the other medium format manufacturers use the same chip (made by Sony), he felt that, “somehow, the way Pentax has instituted their software seems to just give a ‘nicer’ result. Superb colour rendition and seemingly infinite dynamic range. The way you can drag up shadow detail is just voodoo,” Sheppard says. For travel, and jobs that require 35mm, Sheppard is changing his kit. “I’ve been a Canon user for decades, but the time has come to swap. Compared to Sony, Canon has superior ergonomics and general ‘feel’, but to me the bottom line is image quality, and Sony leads the way.” Moving to Sony, Sheppard says that the A7R II is a great camera, but the move is not without its limitations. For example, having to use an adapter for lenses, Sheppard notes the “less than special” auto-focus capabilities. “I’ll be adding Sony lenses in the future, but as I have been a Canon user for many years, I still have lots of Canon glass. I’m using an adapter until the transition is complete, but to be honest, the auto-focus on every adapter I’ve tried is pretty uninspiring,” he says. Sheppard says that it works fine for portraits, still-life, or anything not moving rapidly, but for the time-being, he’ll keep his Canon 5D Mark III as a backup, and hire a Canon 1D X Mark II if he needs super-fast focusing. When it comes to lighting, Sheppard has been a Broncolor user for many years and while he is steadily shifting to Godox, his Broncolor lights still gets used when he is shooting something that needs lots of ‘grunt’. “There are times when you need a big flash-pack to light a large set in less-than-perfect conditions such as needing a scene with bright sun and the weather is giving you nothing but overcast cloud cover,” explains Sheppard. In all other instances, Sheppard relies on Godox. “It seems very solid, well made, and incorporates all the latest tech. Plus it allows high-speed sync with all of my cameras,” Sheppard says. What you’ll find in Gary Sheppard’s kit. © Gary Sheppard. Ironically, one’s actual kit bag could be overlooked when building a kit, but transporting gear in something sturdy and secure is paramount, and Sheppard offers some suggestions. “When it comes to hard cases, Pelican is the way to go, although Bunnings do a nice line of faux Pelican cases for a fraction of the price. Not quite as sturdy, but if you just want a case to keep gear organised and you’re not going to Antarctica, then they do the job.” Besides Pelican, Sheppard uses Tenba when a soft bag is required, and in terms of supports, he chooses Manfrotto and Really Right Stuff tripods. is really a matter of covering eventualities. Practically every working professional has a tonne of gear and has spent thousands on loads of items that rarely see the light of day. But ultimately, it boils down to being prepared to face almost any situation that gets thrown at you. RAAF FA-18 Hornet jet fighter. © Gary Sheppard. When he was starting out, some of the first gear in Sheppard’s kit included a Canon A1, which he “splurged on”, along with a 24-210mm zoom lens. “That lens was just horrible,” he recalls, “but it allowed me to make a start. I had a set of three Bowens Monosilver flashes, and I wouldn’t be surprised if they are still being used somewhere, by someone. Those things were indestructible. I combined that with a Mamiya RB67 for medium format shoots. Lovely piece of kit and rock solid,” says Sheppard. Sinar, meanwhile, occupied the large format equipment shelf. Main engines, space shuttle, USA. © Gary Sheppard. Every photographer has a wish list and just like GAS, the pros feel the pain of continually checking an item’s tracking status too. 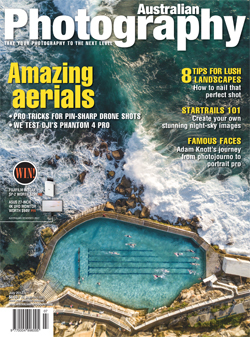 “I got a DJI Mavic drone recently – an amazing little gadget, although it has its limitations,” says Sheppard. “I think that drone technology is kind of like where digital camera tech was back in the early 2000s with the release of the Canon 1Ds. It has finally reached a point where I feel it’s ready for prime time. Before this, it’s been in the land of too hard/involved/cumbersome/unreliable, and in general had too steep a learning curve for me to jump in.” Sheppard says that he’ll live with the Mavic for a while and train up, and then maybe move up to the DJI Inspire. Sometimes even the best kit can’t help when the situation is out of your control. “I think the worst was shooting a national campaign for a global tech company. 2am in the city and it’s blowing a gale. We’d set up a huge lighting grid outside a CBD building. Lots of Bron packs, heads, stands, and other gear. Talent arranged on their marks. You know the drill. Because of the wind, low clouds were racing over us, and every few minutes one of them would be raining. Like, really bucketing,” Sheppard recalls. “It would go from nothing to pelting down in ten seconds. So everyone, including talent and agency, on set was assigned a light stand and pack to grab and move undercover until the rain stopped. High voltage leads running through puddles. Not a good look. Camera, computer, and other gear were under a marquee which sort of kept the rain off.